The other day I noted a fascinating obituary in the 1889 Proceedings of the Rhode Island Historical Society (while looking for something else). 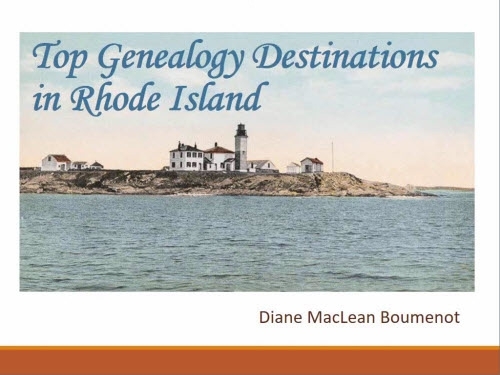 Being an obituary of a historical society member, it focused on the historical and genealogical work that the person had accomplished in his or her lifetime, and on genealogical details of the family. It gave me some clues about resources that might help me, mentioning other organizational affiliations, books written by the person and even other obituaries published. These obits may also be useful for other Rhode island researchers, so I am presenting a list of the individuals (see list at the bottom of this post) whose obituaries were included in this publication. 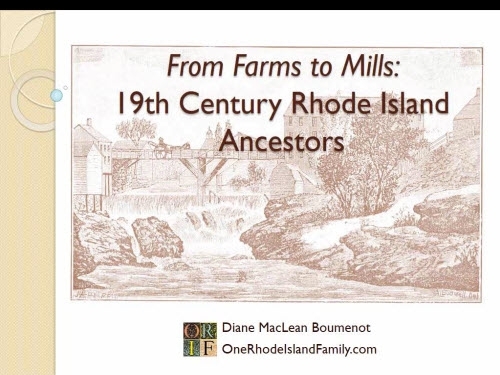 Even if your ancestors aren’t in here, perhaps others from the town of your ancestors might have left some genealogical works behind. Most members got an obituary; if the member was very famous or not (ever) a Rhode Islander, I left them off this list. These are definitely some wealthy businessmen, but also some teachers, professors, genealogists and antiquarians. Membership was originally not open to women, but eventually it was, and the first female obituary is from the 1890’s. The first Irish member’s death was noted in that period, too; the membership was not a diverse group. The obituaries are sometimes perfunctory but, more often, are revealing, personal, and charming. Apparently the Proceedings of the Rhode Island Historical Society was published from 1872-1914, although necrologies may have been published elsewhere at other times. The volumes have been digitized a few times; the list below is from Hathitrust.org and Archive.org and can be used for locating the particular obituary that you find in the list at the bottom of this post. “Necrology” listings, Proceedings of the Rhode Island Historical Society, 1872-1914. Your kindness is so appreciated! 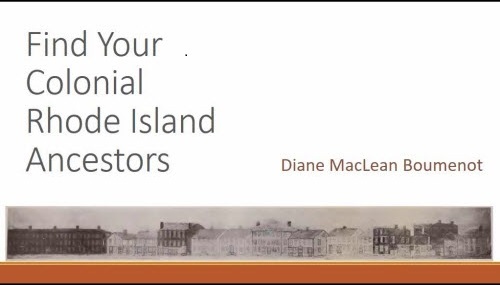 What a great resource Diane. Thank you for the time and effort that went into preparing this for sharing with all your readers and for giving me a heads up on the obituary mentioning Cumberland Cemetery #3. Thank you for introducing us to this great resource, Diane. Love your blog. Wow, Diane! This list must have been a great deal of work to compile. Thank you for sharing it. Thanks Barbara! For some reason I find indexing relaxing. Exactly. Brown University also offered alumni obits in one of their publications. I think it’s getting harder and harder to pull these old pdf books up in a Google search so that’s why I made this list.